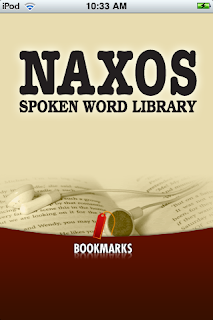 The third App from Naxos is now complete. 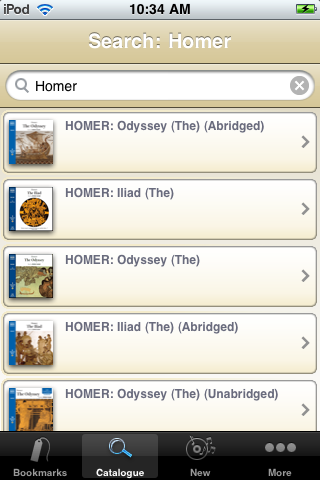 Soon, audiobooks and musical texts will be even easier to access on the go with the Naxos Spoken Word Library App! 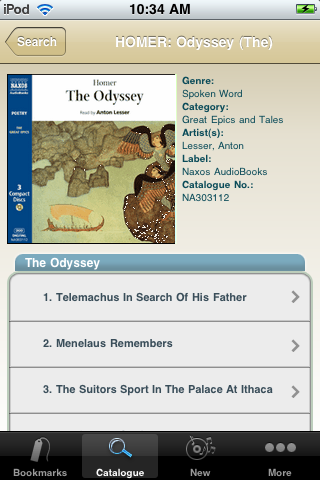 The NSWL allows for streaming of the Naxos Audio Books label, a wonderful new Bookmarking feature (see below for a great new App feature), and access to more than 500 titles! 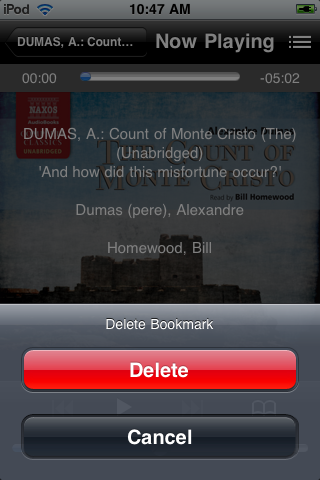 Below are some screen shots from the iPod/iPhone/iPad App. This week, Nick will also be at the AISL annual conference (here in Nashvegas! ), and he'll have the Beta version of the App for all to see and "play with"! The ability to add and delete bookmarks on the go is a GREAT new feature of the NSWL app! Simply click on the + to start the process. 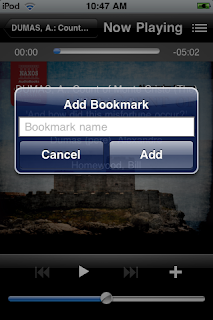 These bookmarks are then available both on the App, and on the computer!